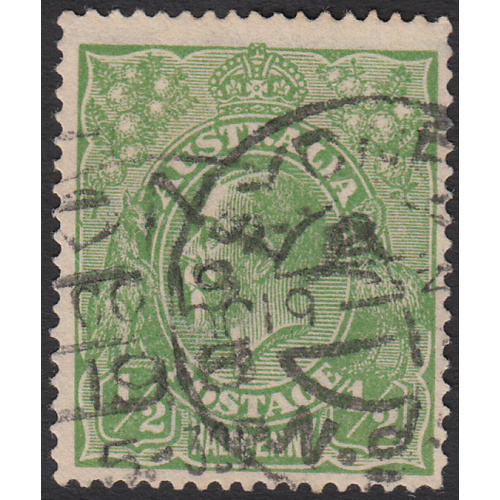 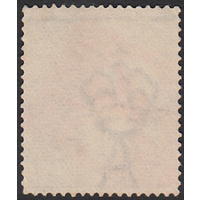 Australia KGV 1916, 1/2d Green, Single Watermark, variety 5R3 (colour spot in white margin opposite 2nd and 3rd shading lines below left wattle stem) in Good Used condition with no faults. 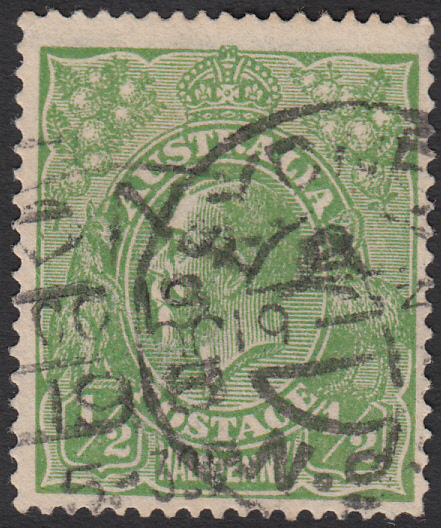 Centered slightly low and right with a double-strike circular duplex canxcellation (SYDNEY, NSW, 19th October 1916) clear of the variety. 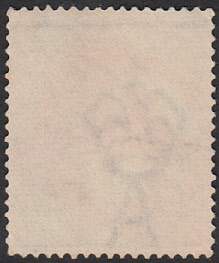 Difficult to find, especially with a dated copy!